Retain or reflect, that is the question. 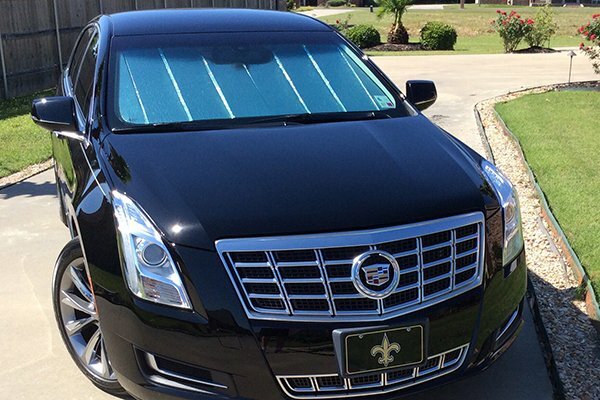 And, with the Intro-Tech Automotive Ultimate Reflector Car Sun Shade, you always have the answer. 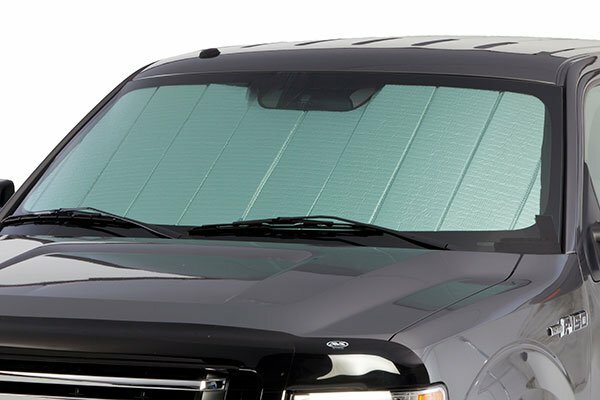 This ingenious all-season windshield sunshade boasts a reflective Mylar side to defeat the summer heat by as much as 40 degrees fahrenheit, and an absorbent felt side that acts as a thermal blanket to soak up the winter rays. 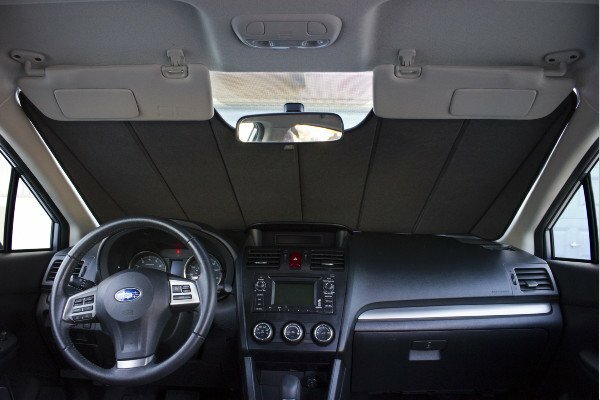 Unlike off-the-shelf cardboard shades, the Intro-Tech sun shade is custom crafted for your specific vehicle to deliver complete windshield coverage. 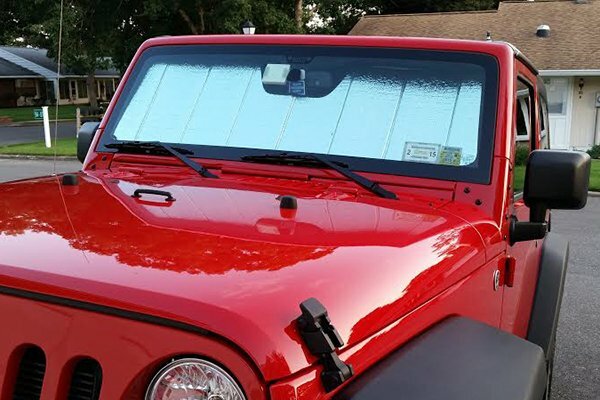 And since it's reversible, the Ultimate Reflector delivers year-round coverage by cooling your car in the summer and absorbing heat in the winter. 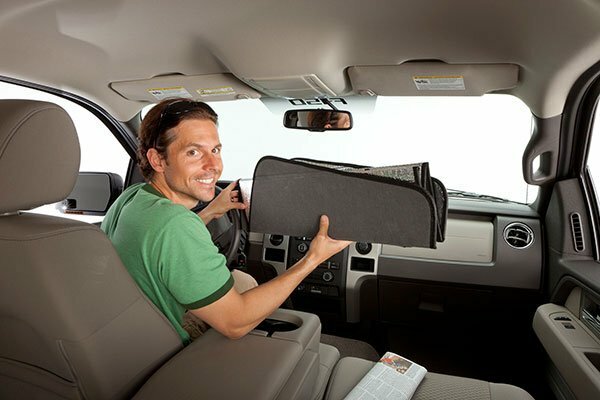 Crafted from a 6-layer sandwich of Mylar, air-cushion barrier, 2 layers of fiber, 1/4" thermal foam board and graphite felt, the Intro-Tech Automotive Ultimate Reflector Car Sun Shade is built tough enough for everyday, all-season use. 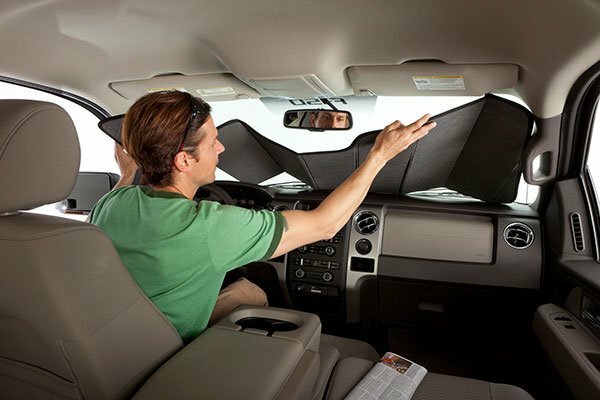 Plus, the included storage bag stows your sun shade neatly away when not in use. 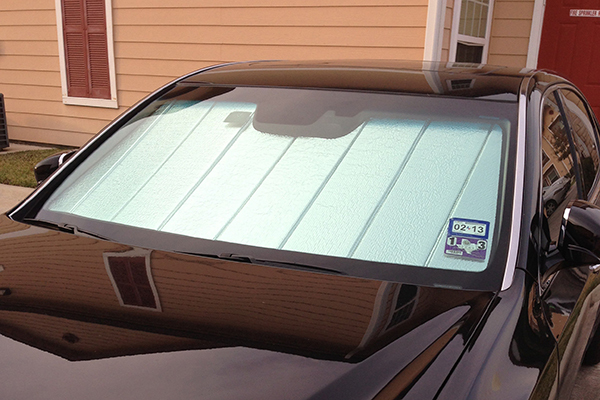 What's more, Intro-Tech Automotive backs your Ultimate Reflector Car Sun Shade with a Lifetime Warranty. The Automotive Ultimate Reflector is just that, ULTIMATE! 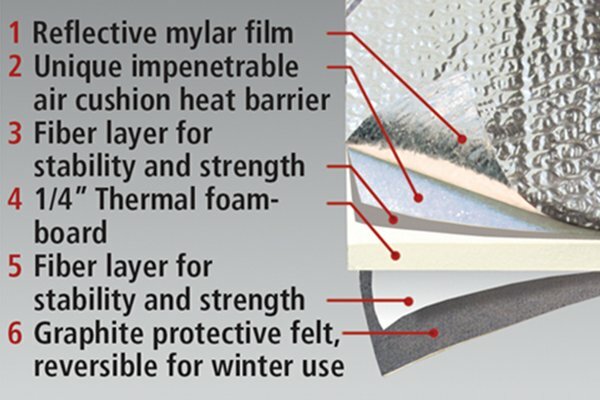 The material its made from is high end and even smells like a new car when you first receive it. 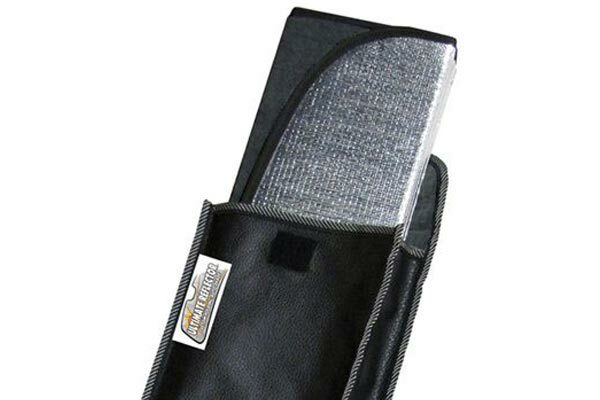 The product does cool down the car and make it barrel to enter and sit on the hot summer days. Even though its a little expensive it truly is worth it due to the quality of the product. well made, Quality item. We will be buying one for our Prius. Appearance, Quality great. just little short on each side. It's not a perfect fit, and the "custom patterned to your vehicle" statement is a bit loose. There's about an inch or so of non-covered area on either side of the shade when it's up, and the whole that's cut out for the mirror is WAY too big. The quality seems good and the included storage case is a nice addition. Overall I'm happy with it, but for the price it should really fit a bit better, or at least don't claim that it's custom patterned for the vehicle. Reference # 765-163-905 © 2000-2019 AutoAnything, Inc.